The event is limited to Realtors-Only; no guests please! The event will be from 11:30 AM – 2 PM at Rivercrest in Maineville, OH. 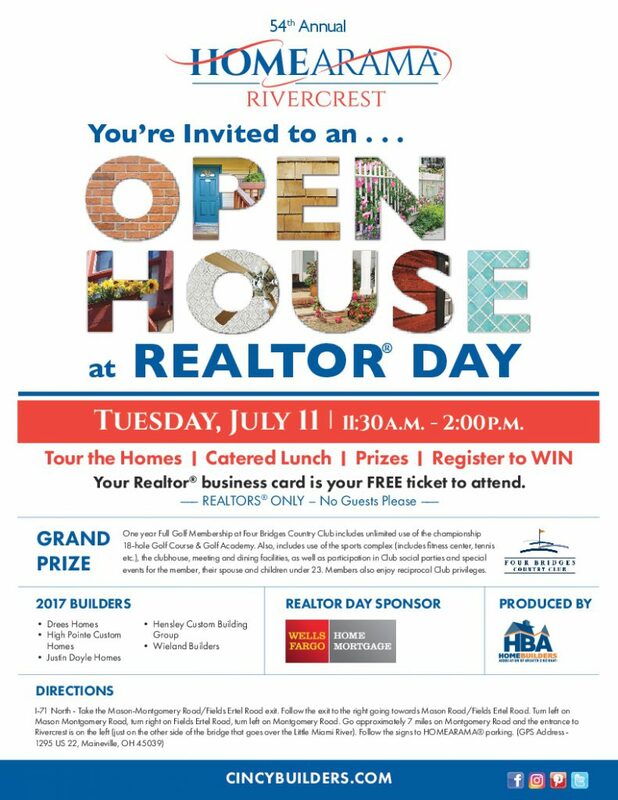 Attendees will get to tour the homes, enjoy a catered lunch and can register to win prizes. More information on the show homes and builders can be found at www.CincyBuilders.com. You can access the event flyer by CLICKING HERE.